This Week In DOCTOR WHO History: Oct 23rd to Oct 29th | Warped Factor - Words in the Key of Geek. The second episode of The Myth Makers, titled Small Prophet, Quick Return, gets things underway this week in Doctor Who history. 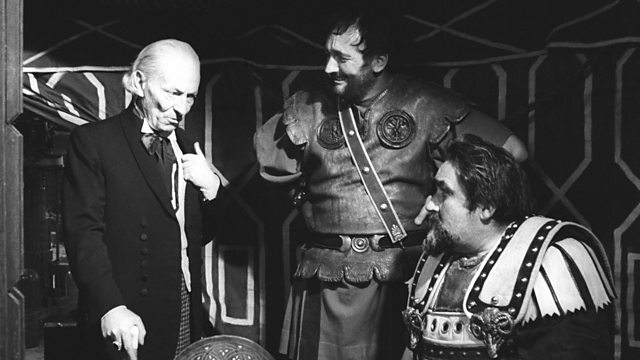 It was broadcast on this day in 1965 and watched by 8.1 million First Doctor fans. Eleven years later, part four of The Hand Of Fear was watched by exactly 12 million. Then it's a huge jump into the 21st Century for a dip into The Sarah Jane Adventures archive. This one being episode two of The Mad Woman in the Attic which was broadcast in 2009 and watched by 0.84 million viewers. Zilch! Nothing! Not a sausage!! Somehow Doctor Who managed to get through 52 years without any episode receiving its debut broadcast on October 24th. And then along came the Twelfth Doctor who changed all that when he met The Woman Who Lived. The episode was watched by 4.39 million viewers overnight in the UK, with a 20.0% audience share. Consolidated ratings would go on to show that 6.11 million watched on time shift. Nice! Two opening episodes from two of Tom's finest get things underway this bumper day in Doctor Who history. 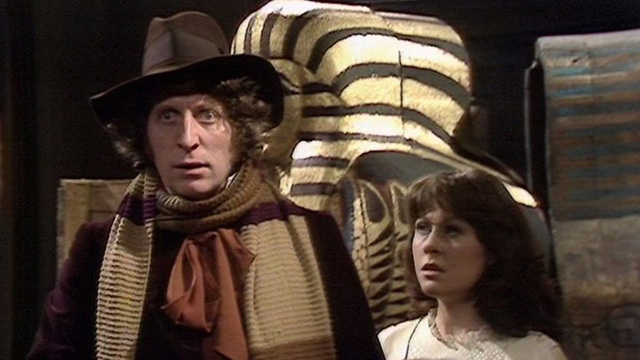 From 1975 we have part one of Pyramids of Mars, broadcast at 5:47pm and watched by 10.5 million viewers. Five years later part one of Full Circle drew an audience of 5.9 million. Two regenerations later and the Sixth Doctor is still standing The Trial Of A Time Lord. The installment broadcast on this day in 1986, part eight of the overall arc, was episode four of Mindwarp which was watched by 5 million viewers and broadcast at the ridiculously early time of 4.47pm! Our weekly Scottish Doctor's section is made up of part one of The Curse of Fenric and 2014's In The Forest of the Night. Respectively they were watched by 4.3 million and 5.03 million viewers. Two from our favourite spoon-playing Doctor, starting with part four of Paradise Towers which was broadcast in 1987 and watched by 5 million viewers. The following year the fourth and final part of Remembrance of the Daleks had the exact same amount of viewers. 0.96 million CBBC viewers didn't have to wait long for the second part of the 2010 The Sarah Jane Adventures story Death of the Doctor. Spoiler - he didn't die! Remember that time Lady Adrasta auditioned for Steps? "Tragedy..."
Of course not, it's just part one of The Creature from the Pit. Broadcast in 1979 at 6:02pm, it was watched by 9.30 million viewers. Also on this day in Doctor Who history we have episode one of The Sarah Jane Adventures story Secrets of the Stars. Broadcast in 2008 at 4:35pm, and watched by 0.86 million viewers. 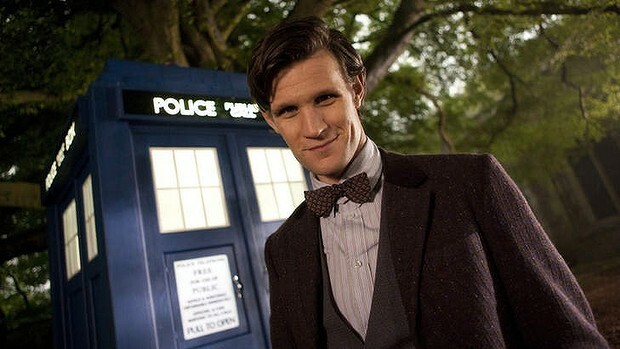 It's Matt Smith's birthday today. 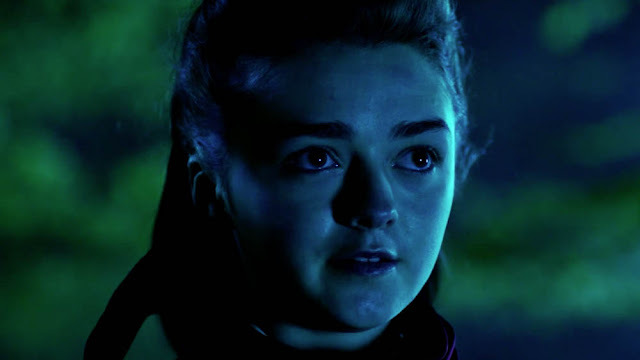 The youngest actor to have played the Doctor (so far) will be 34. Happy birthday to you Mr Smith. Also on this day we have episode five of the Second Doctor adventure The Abominable Snowmen. Broadcast in 1967 at 5:24pm and watched by 7.20 million viewers, which was 1.4 million less than were tuned in to part one of The Stones of Blood eleven years later. 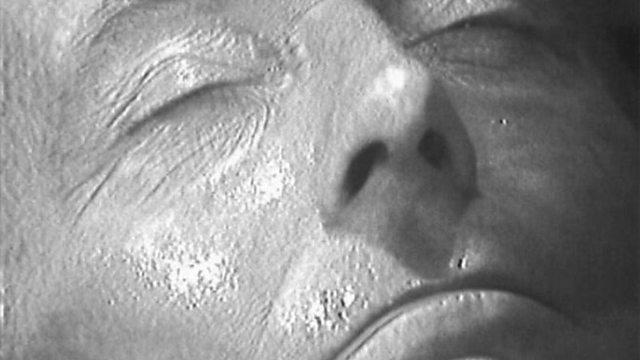 In 1966, 7.5 million people were tuned in for the very first Doctor Who regeneration episode - even though it wasn't actually called a regeneration at this time, but, y'know. Sadly missing from the archives, part 4 of The Tenth Planet saw us bid farewell to William Hartnell and say hello to Patrick Troughton. Arguably this first 'rejuvenation' was the most important moment in Doctor Who history, as it is this concept which allows the show to continue whilst offering a soft-reboot at the same time. 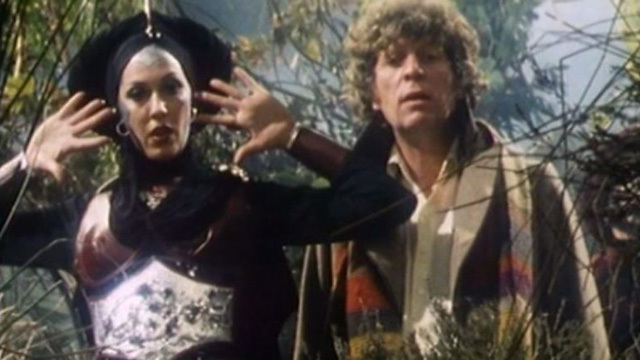 Also on this day we have part one of Image of the Fendahl, which was broadcast in 1977 at 6:11pm and watched by 6.7 million viewers. And we wrap up another week in Doctor Who history with a trio of Spin-offs. Starting with the third Torchwood episode, titled Ghost Machine, which was broadcast in 2006 at 10:00pm and watched by 1.77 million viewers. The following year we have 1.29 million tuned in for part two of The Sarah Jane Adventures story Warriors of Kudlak. 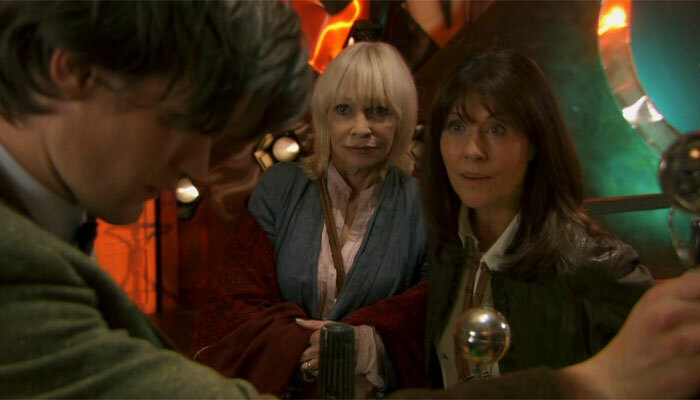 Then, in 2009 a familiar face showed up for The Wedding of Sarah Jane Smith. Episode one was watched by 1.59 million viewers. Finally, will you be revisiting Class? The new spin-off premieres its third episode this coming Saturday October 29th. Titled Nightvisiting it will see London infiltrated by an eerie alien with the ability to morph into the shape of lost loved ones. Spooky! Did you watch any of these adventures live? Let us know in the comments below.